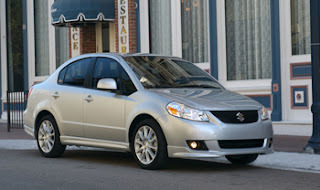 The most talked about situation everywhere in and outside Indians, is the comparison between the Honda City and the Suzuki SX4, everywhere in forums, reviews, televisions, letters.. Honda has boosted up their sales with the help of the City and now Suzuki's hope is to capture the C-segment with the SX4. Suzuki has made a serious jump from the old aging Baleno to the modern looking SX4, the launch of this car has crowded the showrooms for test drives and a first look, now after all the spread of news lets see how the Maruti-Suzuki holds up with the Honda City. For now Maruti has provided only a 1.6L all-aluminum engine that produces a 103bhp@5500. This is a 16V DOHC and has Torque of 145Nm. This is latest M-series from Suzuki. Three variants are given to the customers that is Vxi , Zxi and Zxi with Leather Option. The Cost of the variants are Rs.6.18 lakhs, Rs.6.89 lakhs and Rs.7.24 lakhs respectively, these prices are of ex-showroom New Delhi. In fact a lot of other engines have been spread as a rumor, now lets wait and see if these engines really come to India or not, and the engines are a 2-Litre engine that produces a 143bhp petrol that will compete against the upper class Corolla, Civic and the Lancer Cedia. Suzuki borrows the Fiat's Diesel Engines and are likely to put up the 1.3 Multi-jet DDiS engine that will produce a 75 Bhp, the same as the one on the Swift and a 1.9 Multi-jet 105Bhp as seen in the Fiat Bravo. The SX4 only has a 5 speed Manual transmission. The SX4 engine is a bit more powerful than the remaining competitors, even more than the City. The Engine is the latest M-Series from Suzuki and is planned to put up in the Swift also. But we will have to wait and see when this car with a diesel options will be launched. 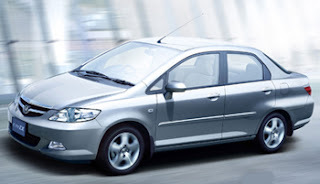 The displacement of the Honda City is 1497cc and produces a power of a reasonable 77Bhp @ 5000 rpm, has a torque of 125Nm and is a SOHC valve, just like the SX4, the City also has 4 cylinders. But the city offers more variants and with different prices- they are - the EXi, GXi, V-TEC and the CVT 6.77 Lakhs , 7.27Lakhs , 8 Lakhs, 7.87Lakhs respectively(ex-showroom Delhi). 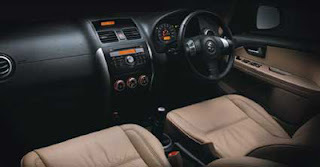 An automatic transmission is also available in the CVT model, that the Suzuki SX4 does not have an automatic transmission, this is a boon to the driver, and to get this boon it will be costlier. The City has no diesel options and is selling well without it. The City too has a 5-speed manual and an automatic transmission. The SX4 has more powerful engine and has greater torque and the Honda City's engine is more refined and reliable. The SX4 comes with a reasonable price, whereas the city has a dragon in it that will burn your pocket, unless you go for the EXi, that is around 6.77 lakhs. And in the case of choosing, the City can help you. If you want a more powerful engine, go for the SX4. The City's exteriors were all made to make the interiors roomier and The City is still on the block of style and people still like it, and a little bit of styling had been done recently to keep it standing. The City still looks good with the sleek and dynamic styling of its features. The V-shaped Grille with Chrome finish is the main styling feature of the front, with the headlights and the roof mounted antenna, at the rear the new styling given, just to keep the city going in terms of styling. New Design 3D Multi-reflector Headlamps do help a little bit of styling, there is nothing much to say about the styling of the city as its talked about it in many magazines earlier and are found on the road easily since the early 2003.. so lets move on to safety. The City 's fuel tank is located in the middle of the vehicle, which will be safe because it is the farthest place from both, the front and rear impact. For protection against front impact, Honda has used arch-shaped front side frames that improves the absorption of collision impact and reduces danger. The City ZX's neck shock mitigation seats are designed to reduce neck injury in case of a collision by distributing the impact equally between the neck and the torso. Safety For Pedestrians:- City ZX has been designed to reduce pedestrian injuries in the event of an accident. Various features of the exterior styling of the car are created specifically with pedestrian safety in mind.In case of an accident, the impact absorbing wiper pivots soften the force of the collision.The bonnet too, is impact absorbing. There is an empty space between the bonnet and the engine, which tries to ensure that no one is very seriously injured. The collapsible bonnet hinge is easily deformed in the event of a collision to help reduce injury to pedestrians. The impact absorbing fender is structured to reduce the force of impact.In this way, the Honda City ZX not only looks out for people inside the car, but it protects those on the outside as well. With Honda, safety is a concept, a belief, a passion and an obsession. So, eventually the City is a well built safety car, which explains the shape of the car a bit. Overall the Honda City's safety is good, but if the airbags and ABS are available, this car would have been a great safe car. The exteriors of the SX4 had been crafted to make the interiors more spacious. Though this car is usually a hatch in other countries and is developed to a sedan, the SX4 is different, different from the competitors, its like a crossover, it has the presence of feel of a mini SUV type of look. This is reason why it stays away from the other saloon of this segment, its looks a bit of a class higher, it has the likes to take up with the Optra 1.6 and even the Toyota Corolla. The muscular styling of this car reflects the power under this bad boy and the cockpit like interiors inside, this car is also the tallest, widest and the longest of the competition and makes it the complete young powerful man machine.This car is made from the influence of the so called "Latest European design" . 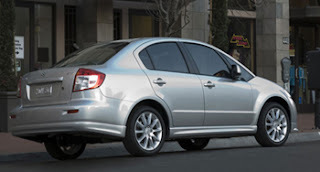 The SX4 is made to provide the best of luxury to their customers. The SX4 has an impressive ground clearance of 190mm, whereas the city has only 160mm. Tubeless tyres, alloy wheels,stop lamp, rear fog lamp, front fog lamps are the other exterior features. Now coming to safety dual airbags are available for this car and also 3-point ELR front seat belt pre tensioner & force limiter and 3-point rear seats belts and 2 point lap belt for better catch of the passenger in the seat. Anti-Lock Braking System with Electronic Brake-Force Distribution are available to get excellent control of the car, and also has an Intelligent Computerized Anti Theft System (iCAT System) , all these are available in the Zxi versions. Side impact protection beam and Front door-lock canceler are also available. The Styling is different for different people, so both the cars have good styling of their own characteristics, though the fit and finish of the City is better. The city is quiet old in terms of people who need sporty, muscular and the young look, in this terms the Maruti-Suzuki SX4 scores well..For the people who need a practical, sophisticated and a business like car, the city is the one for that, its not everyday that a person like anil ambani drives a murcielago to his meetings, he would prefer to sit at the back of a rolls-royce with a newspaper. The SX4 definitely looks muscular and will be liked by many people, and also has many features than the city, and in safety, the SX4 scores again, because the city has no airbags and ABS, that the only problem in safety with the City. The SX4 scores because it looks modern and young and can go further and compete against the upcoming car's like the Fiat Linea and Toyota Vios. 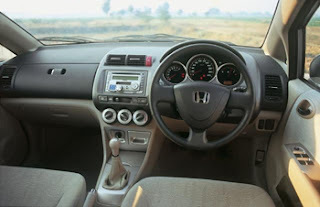 The interiors of the City boasts of luxurious and spacious interiors, Honda had used high quality, upmarket products for the City interiors. The City has Dual Tone Beige Interiors, Chrome Inner Door Handles, High Grade Stereo with CD/MP3 Player, Front Storage Space with Cup Holder, Nice and clean Instrument Cluster and has very good legroom, powerful air conditioners, better than the SX4 and a big boot of 500liters. All of you know the City's interiors and theres nothing much to explain. The City has a decent amount of comfort features - the city has rear armrest, twin glove box and a center console tray with fordable glass holders. tilt adjustable steering wheel, power door locks and power windows with illuminated switches. The City's interiors are really good and is made from top quality products, but the SX4's interiors are not that far behind lets see it. The SX4 has interiors is like a mini cockpit, they are so cleanly fitted as they roll down toward the end, a CD-player that goes with the dash look, the steering is embedded with controls and they are great to have, which the city does not have, the SX4 has a climate control and a display to check the interior-outside temperature. Both the SX4 and the City has electronic adjustable side view mirrors and rear defogger and some aluminium pieces are thrown near the console. There is also an illuminated key ring. The SX4 is the biggest and most spacious in the class and also has extra head, elbow and legroom.The SX4 has a height adjustable driving seat for better commanding view of the road, something that the Honda City does not have. The boot is big and roomy of 505 liters. There is a long list of equipments that the SX4 has, and you will be pleased with it. The fit and finish of the City is better though. So, eventually there is very close competition of interiors between these two in interiors. The City's upmarket interiors v/s the SX4's young and modern cockpit like interiors. The SX4 is more spacious and comfortable and with a long list of features and equipments, the SX4 wins by close points. I would give it a 4.6, its that close though the fit and finish of the City is better. We gave the extra point because of the extra features available in the SX4. The Honda city is zippy and is handled a little better than the SX4. The Engine is not powerful and the car is also very quiet and smooth and the manual gearbox pleasure to use. The Honda City with a 77Bhp can do quiet well in the Highway and with that power this car is pretty well in city driving. With the McPherson Strut with Stabilizer and H- Type Torsion Beam Suspension at the rear, the car goes well in handling. But never test another car in overtaking in the highways in high speeds with the City, its not that good enough. The City name itself shows what the car is capable of - it is really a good city driving comfortable car. The Honda City returns a mileage of 10.85kmpl in city and 16kmpl in highway. So overall the City is a good to drive car especially in the City conditions and returns good mileage. The Servo Assisted Hydraulic braking is good , but with ABS it would have been better.. The City was the best buy in the class at a bigger price. 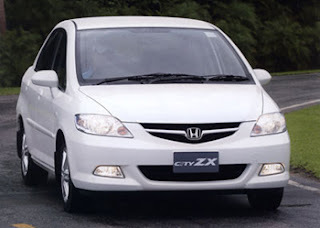 The Honda City sells because of the refined engine,upmarket interiors, reliability of Honda and the Brand Image. Now lets see what the SX4 can do. The Suzuki SX4 is also a pleasure to drive, the extra power can be used for highways and with this power you can rip off your opponent. 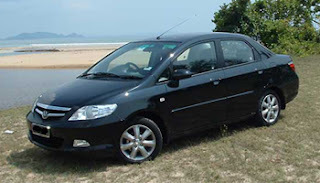 The gearbox is like similar to the Swift and has a top speed of 175 kmph. The ride quality of the Suzuki SX4 is lovable with Stabilizer Independent suspension with gas-filled McPherson strut & anti-roll bar in the front and Semi independent torsion beam with gas filled shock absorbers and absorbs the potholes very nicely and the area of clearance is really good and can take over the bumps quiet well, with Stabilizer Independent suspension with gas-filled McPherson strut & anti-roll bar in the front and Semi independent torsion beam at the rear with gas filled shock absorbers, makes it more comfortable. 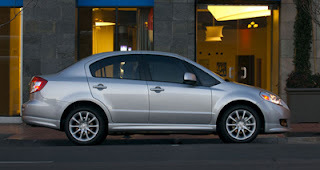 The SX4 is fast and fun to drive, and even in the highways.The SX4 also returns mileage similar to the City of 10.9. The car being tall, really rare chances of body roll, because the car has a firm grip on the road. Alloy wheels also help too.